Why did this failure occur? One reason is that policy makers were too optimistic when the financial crisis took place back in 2008. Most public and private forecasts at the time understated the severity of the economic fallout from the bank meltdown. 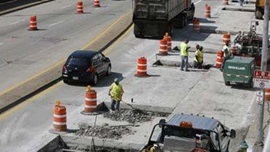 Decision makers in Congress and the Administration may have believed infrastructure investment would be unhelpful in the recovery. Well-conceived infrastructure projects take many months to design and many years to complete. Policy makers may have believed the economic crisis would be over by the time federally infrastructure spending reached its peak. When forecasters and Democratic policy makers recognized their error, voters had elected a Congress that supported only one kind of fiscal policy to deal with the crisis—big tax cuts focused on high-income tax payers. Whether or not such a policy could have been effective, it would not make additional funds available for infrastructure projects. Wow, a perfect description for AZ Governor Doug Ducey and his cronies in the AZ State Legislature. I wish the ASCE and the author at Brookings had the ability to drill down to a municipal level. I will note that of the items on this list, municipalities have a great proportion of responsibility for drinking water, roads, transit and wastewater. In Scottsdale, where mayor Jim Lane has led the aforementioned fight to cut taxes for, and outright subsidize his cronies (the Goldwater Institute, the NFL, the PGA, Phil Mickelson, the Museum of the West, the Scottsdale Cultural Council, to name a few), infrastructure maintenance funding has been shorted every year he has been in office. By my estimate, Scottsdale has a billion dollars in deferred infrastructure maintenance. And Scottsdale has a total budget around a quarter of that number. Perhaps the most obvious example of Lane’s combined fiscal and infrastructure mismanagement is Scottsdale’s roadways. The city just floated bonds for–which is say they “borrowed”–$12 million dollars…to repair potholes. Scottsdale also has the highest per capita debt of any city in the Phoenix metro area, at over $5,000 per person, for over a billion dollars total. So this borrowing has been going on for a long time. No sane person borrows money to fund ongoing operations and maintenance. Yet, here we are. And the mainstream media (ie, the Arizona Republic) isn’t even looking into it, let alone reporting it. Just remember there’s an election coming up in November. If you want to fix this problem, you need to support Bob Littlefield in his quest to unseat Lane, and support Guy Phillips in his re-election bid. It’s an uphill battle for the folks who want to represent you, the residents; because their opponents’ campaign contributors are willing to invest massive amounts in their candidates in order to maintain their place at the taxpayer-funded trough. Looks like those infrastructure projects were not so well-conceived to begin with. I’m sure both Bob Littlefield and Guy Phillips are smart enough not to try and raise taxes back up to pay for this mess. If Lane and his allies would stop wasting general fund $ on subsidizing their supporters we could fund our infrastructure needs WITHOUT raising taxes. I agree with Bob’s comment. Giving $75K every year to the Rose Law Group is a clear payoff. Westworld, Museum of West, are payoffs. But where and when did the CC vote to borrow money to fill potholes? It would be good reading on my FB page. 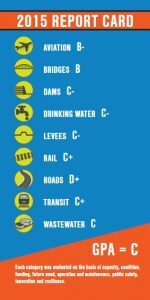 The City Council voted to put on the ballot as part of the $100+ million bond package that “our fellow taxpayers” voted to approve because Lane & Cronies told us it would fix our “critical infrastructure needs.” Which, of course THEY created by neglecting the infrastructure in the first place.